IngeNude, featuring new burlesque performers celebrating the art of burlesque, drag and cabaret, is scheduled for January 12th only at Marks Garage. The Oahu Fringe Festival runs January 12-14, 2017, at various venues in Chinatown, then Maui Fringe happens January 20-22 at the Iao Theater. Two out of town performance groups will be travelling the mini-circuit. There are over two hundred Fringe Festivals all over the globe, and now O‘ahu and Maui’s festivals are joining the tribe. “Fringe” festivals are known for the performing arts, they’re uncensored, original, easy to participate in and easy to attend because they use neighborhood venues. HPR’s Noe Tanigawa reports. A chat with Oahu Fringe instigator, Misa Tupou, and two 2017 performers, dancer Peiling Kao who will perform Tiny Seismic, and Basil Considine of Minneapolis' Really Spicy Theater, which is presenting "Game of Thrones, the Musical." Peiling Kao relocated from the Bay area last August to become the new Associate Professor of Dance at UH Manoa. She performs an improvisational piece with live electronic audio by Gretchen Jude at Ong King Art Center. The program, called Tiny Seismic, also features Kara Miller. 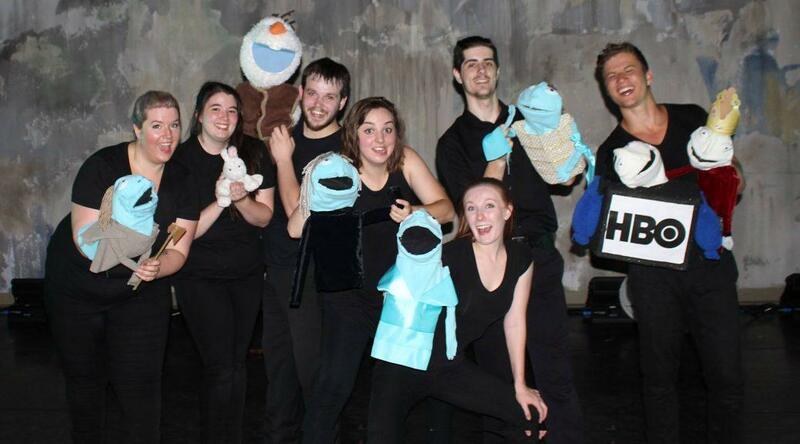 happens January 20th through 22nd at the Iao Theatre. O‘ahu Fringe has partnered with Honolulu Box Office for all ticketing services. You can also buy your tickets directly from the site. At each O‘ahu Fringe venue you may use a Check with an ID, credit card or cash to buy your ticket. A credit card may used to buy tickets online or over the phone. Fringe venues do not sell tickets for Fringe shows, applicable fees apply to all tickets sold. That’s the fun of Fringe, discovering gold in your favorite old hangout. Igniting neighborhoods with creative performance is the idea. The Minneapolis based troupe, Really Spicy Opera, is presenting "Game of Thrones, the Musical" both on O'ahu and Maui. Basil Considine has brought his troupe, Really Spicy Opera, to O‘ahu Fringe from Minneapolis where it won awards and was named a “must see” in the Twin Cities area. Considine says it’s an opportunity to spoof Game of Thrones, with a more feminist perspective. Game of Thrones, the Musical, will be heading to Maui Fringe next week. Exposure, yes, but Tupou says Fringe performers incur expenses that a circuit of gigs can help defray. “You don’t want to be stagnant, that’s just going to destroy your art. Your art needs to grow.” Makes you wonder why there are only twelve acts this year---about 80% local. Tupou says about nine hundred people attended Fringe last year. 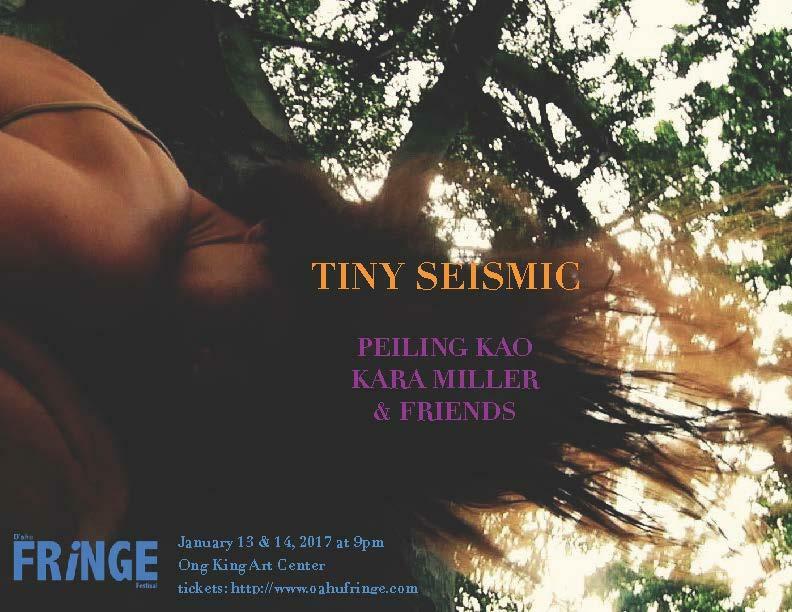 Dancer, Peiling Kao, new assistant professor of dance at UH Mānoa, is presenting a multimedia piece at Ong King, I asked her why more people don’t make use of Fringe to perform. 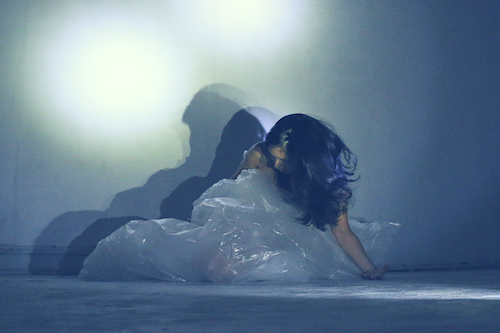 Sheen Ru Yong and Spencer Agoston present "thin skin" at Studio 114, 7:30pm, January 12-14. We arrived at Studio 114, it’s a second floor walk-up ma uka on King, Sheen Ru Yong and Spencer Agoston have a multi-media movement piece in store for us there, next weekend. What is needed: A dedicated sponsor or three, artists pressing the edges and willing to put it all out there, plus audiences willing to experience theater in all its messiness and exhilaration. 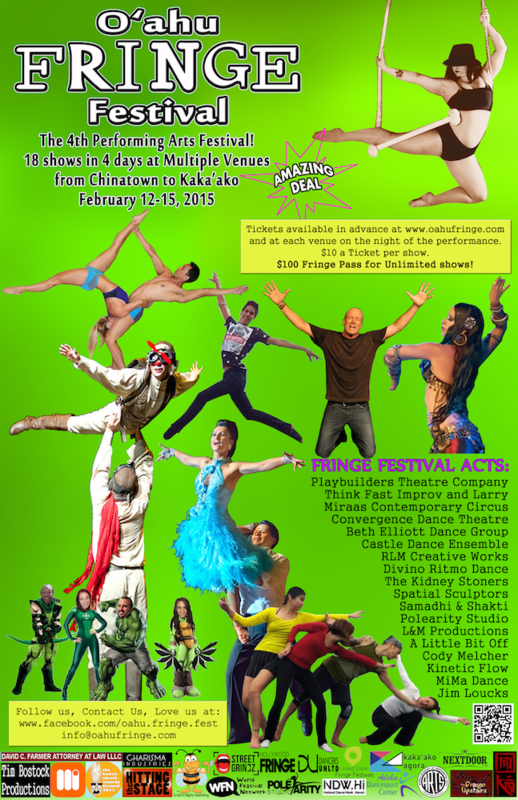 Find tickets and more information about O'ahu Fringe and Maui Fringe. 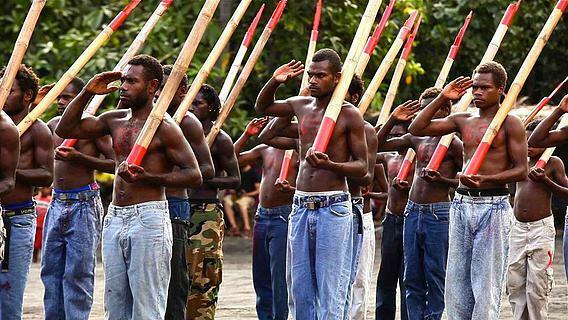 After World War II ended in the Pacific, anthropologists described up to several hundred semi-religious organizations that had sprung up in New Guinea, the Solomon Islands, New Caledonia, Fiji and Vanuatu. Called “cargo cults,” these believers sought ways to continue delivery of wartime goods and supplies. HPR’s Noe Tanigawa reports on a Hawai‘i International Film Festival showing that focuses on what could be the last surviving cargo cult. “Waiting for John” screens Thursday, November 19 at 3:45pm as part of the Hawai‘i International Film Festival. February is African American History Month, and the folks at the Honolulu Museum of Art will be celebrating with a specially themed ARTafterDARK this Friday. 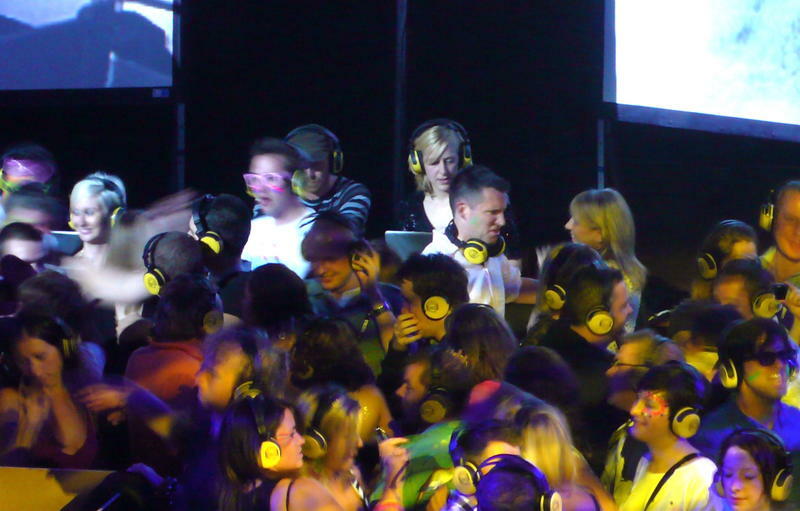 Get ready for a night of Afrofuturist films, music, and activities including what’s billed as Hawai‘i’s first large-scale public silent disco. HPR’s Noe Tanigawa reports.